This Allemanda is the second movement of Italian Baroque composer Arcangelo Corelli's Trio Sonata No. 10 in E major. 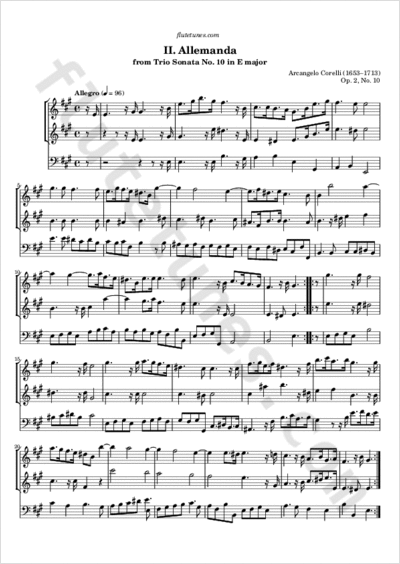 You may notice that the key signature has only 3 sharps instead of 4, despite the piece being in E major (as testified by the numerous D-sharps). This kind of “discrepancy” was relatively common during the Baroque period.